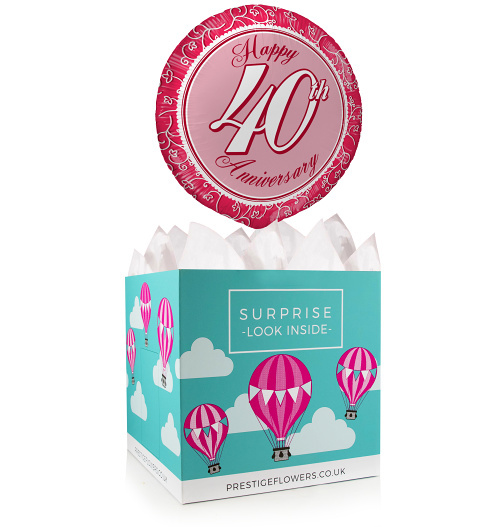 We have chosen a stylish 18-inch helium balloon and paired it with a colourful gift box to make your spouse or the happily married couple feel pampered! Feel free to include any of our optional extras such as chocolate, wine, cake, and cuddly bears. Write a special message and we will make sure it is included.